Been training BJJ since roughly 2008… started doing the nogi to complement my Muay Thai and other Martial Arts learned while growing up. UFC pipe dreams… lol. Instead, I re-injured both rotatory cuffs between 2009 and 2010… injured precursor due to the other martial arts training and never healed properly. Got MRIs for both shoulders and determined by the specialist, here in T-bay, that I needed surgery to remove all the scar tissue, mitigate the funny clicking sounds, and minimise my hands from feeling like falling asleep. The specialist pretty much explained that my downtime from physical activity was going to be 6 months for each arm. She specified that I may only regain about 70 percent of my full strength back and that there was a chance this surgery wouldn’t even work… which was an option I couldn’t handle. Between 2009 and 2010, I re-evaluated all my training regime and started only training only in a GI. No more nogi or MMA… hoping to not further my shoulder injuries. This is pretty much where my journey begins in Northern Ontario, Thunder Bay, Canada. 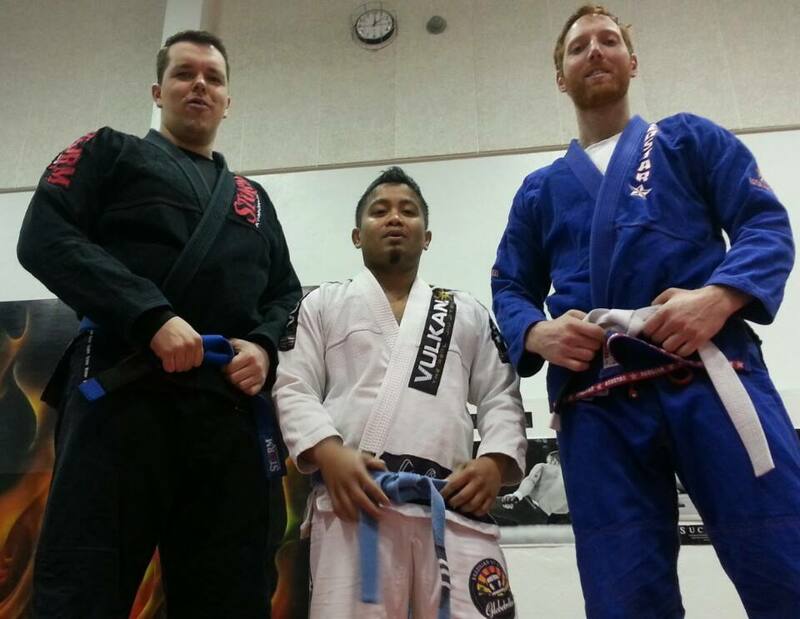 I received my blue belt in April 2012, then my purple belt in July 2014. I’ve been coaching a few BJJ classes, a few times a week since the ending of 2012 at Leading Edge MMA, with guidance from our Black Belt head Owner Matt Richer. Got my brown belt in March 2017… cute clip below.